I am Principal Scientist in Business, Innovation and Foresight at VTT Technical Research Centre of Finland and Honorary Research Fellow and Director of Executive Education on Foresight and Sustainable Futures at the Manchester Institute of Innovation Research of the University of Manchester, where I completed his PhD on 21st Century Foresight. I am also Innovation Director and CEO at Futures Diamond in the UK; and in 2018 I accepted a Professorship in Foresight and STI Governance at the National Research University Higher School of Economics (HSE) in Russia. My main areas of work include: ‘foresight’ as an instrument of innovation policy, the development of foresight and horizon scanning methodology, the design of forward-looking activities and their evaluation with a focus on technological and social innovation policies, and the assessment and management of sustainable innovations. I am also an Economist from the Central University of Venezuela (UCV) and soon after my graduation I worked as Research Fellow at the United Nations Industrial Development Organisation (UNIDO) based in the Area Science Park of Trieste in Italy (2001-2002). At UNIDO, I was responsible for the Technology Foresight Programme for Latin America and the Caribbean (UNIDO TF-LAC) and for actively supporting the Technology Foresight Programme for Central and Eastern Europe and Newly Independent States (UNIDO TF-CEE/NIS). Since the late 1990s I was a pioneer and developer of the first commercial online foresight tools, which helped to raise the profile of Latin American foresight. At the international level, my contributions to foresight practices and methodologies resulted in two Emerald Literati Network Awards for Excellence. I was also co-editor of an Edward Elgar’s Book of the Month: “The Handbook of Technology Foresight”. I have been Scientific Coordinator and Principal Investigator in several European Union funded foresight initiatives such as the Euro-Latin SELF-RULE Network and the Mapping Foresight activities of the new European Foresight Platform (former EFMN). I was also Scientific Director of the innovative iKNOW project developing state-of-the-art foresight and horizon scanning platforms to interconnect knowledge about surprising and emerging issues, the so-called Wild Cards and Weak Signals. As for my teaching, I have been Co-Director of postgraduate courses (MSc and MBA) on foresight at the University of Manchester and Director of Executive Education courses on Foresight and Sustainable Futures. I have also been guest lecturer in many European and Latin American countries and keynote speaker for a large variety of audiences in the public, private and academic sectors. Over the last twenty years I have also worked as consultant for several international organizations including the European Commission, World Bank, United Nations Development Programme (UNDP), United Nations Economic and Social Council, UN-REDD Programme, Andean Community of Nations (CAN), and the Economic Commission for Latin America and the Caribbean (ECLAC), among others. I have also been advisor to several government and business organisations in Europe, Latin America, Africa, Asia and Australia. Popper, R. (2008), Foresight Methodology, in Georghiou, L., Cassingena, J., Keenan, M., Miles, I. and Popper, R. (eds. ), The Handbook of Technology Foresight, Edward Elgar, pp. 44-88. This chapter uses different approaches to reflect on a variety of issues concerning foresight methodology. The chapter provides a comprehensive and structured overview starting with the foresight process and common practices in the sequence of pre-foresight, recruitment, generation, action and renewal. The potential contribution of the full range of methods to each phase is mapped providing a useful guide for selection and combination of appropriate approaches. The chapter presents three different frameworks for classifying foresight methods and practices. It also provides important insights for distinguishing between various rationales, approaches and uses of foresight methodology. Popper, R. (2008), How are foresight methods selected?, Foresight, 10(6), pp. 62-89. [Outstanding Paper Award at the Emerald Literati Network Awards for Excellence] Based on an in-depth analysis of nearly 900 cases studies, this paper addresses a challenging topic, which in both academic and professional literatures have been widely discussed but mainly from one single angle, that is, how to select foresight methods? From that point of view researchers and consultants promote (even if unintentionally) the use of particular methods. Here the question of selection is raised from a different perspective: how are foresight methods selected? 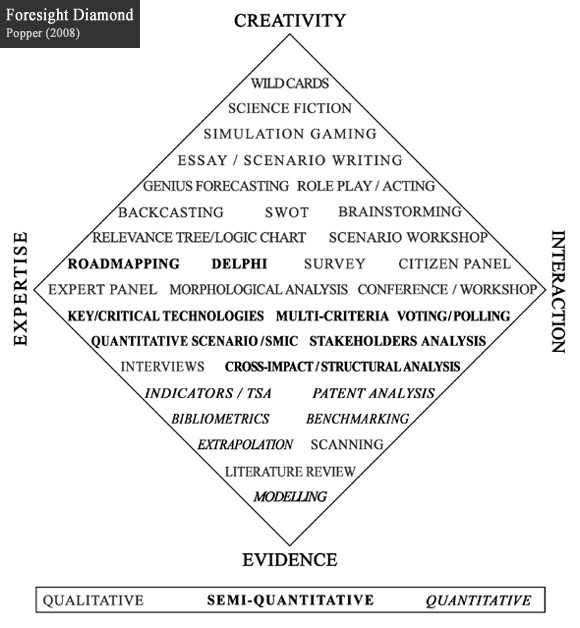 The guiding ‘theory’ is that a better understanding of the fundamental attributes of foresight methods and their linkages to the core phases of a foresight process, together with the identification of possible patterns in the selection of methods, will provide useful insights as to how the selection of methods is carried out. 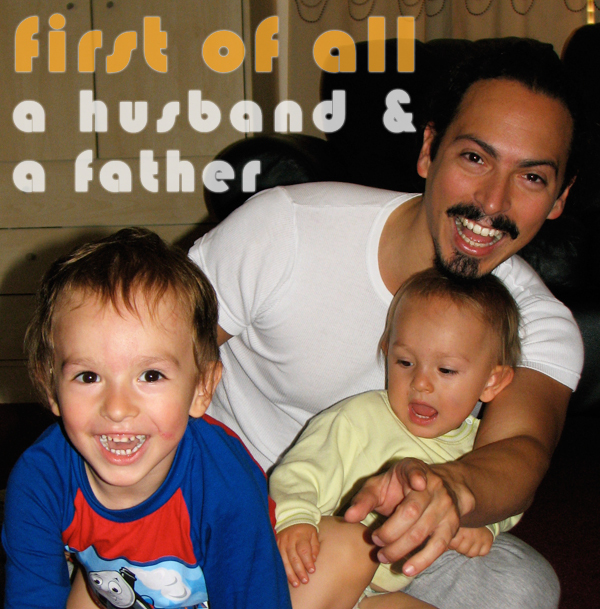 Popper, R. and Medina, J. (2008), Foresight in Latin America, in Georghiou, L., Cassingena Harper, J., Keenan, M., Miles, I. and Popper, R. (eds.) The Handbook of Technology Foresight, Edward Elgar, Cheltenham, pp. 256-86. This chapter shows that while foresight entered the LA policy environment as a tool for better anticipating futures, its interpretation and use has evolved differently in each country. This depends primarily on country size and resources, international sponsorship, the political will and the perceived needs and opportunities. A key influence shaping the institutional development of foresight in the region is the role of international organisations in providing the initial political impetus, together with financial, technical and logistical support for the exercises themselves. The impressive and diverse range of activity, particularly in the larger countries (Brazil, Colombia and Venezuela) highlights the fact that despite substantial international influences, there is a particular Latin flavour to foresight activity which is in its own right making an important contribution to foresight methods and practice. Keenan, M. and Popper, R. (2008), Comparing foresight ‘style’ in six world regions, Foresight, 10(6), pp. 16-38. [Highly Commended Paper at the Emerald Literati Network Awards for Excellence] This paper presents a comparison of foresight activities in six world regions – Europe (broken down into three sub-regions: North-West Europe, Southern Europe, and Eastern Europe), North America, South America, and Asia. The paper highlights regional differences and offer possible explanations for a perceived ‘variety of practices’. The hypothesis is that differing political and socio-economic traditions between regions, together with diverse levels of economic development (what we term collectively the ‘contextual landscape’) should have implications for the ‘style’ of foresight carried out. Popper, R., Georghiou, L, Miles, I. and Keenan, M. (2010), Evaluating Foresight: Fully-Fledged Evaluation of the Colombian Technology Foresight Programme (CTFP), Cali: Universidad del Valle, ISBN 978-958-670-842-5. Georghiou, L., Cassingena H., J., Keenan, M., Miles, I., and Popper, R. (2010), Manual de Prospectiva Tecnológica. Conceptos y Práctica, Mexico: Facultad Latinoamericana de Ciencias Sociales, ISBN 978-607-7629-39-9. Georghiou, L., Cassingena H., J., Keenan, M., Miles, I., and Popper, R. (2008), The Handbook of Technology Foresight: Concepts and Practice, Edward Elgar, Cheltenham, ISBN 978-1-84542-586-9. Villarroel, Y., Lozano, A. and Popper, R. (2011), ‘Metared de Gestión de Conocimiento en Espacios de Catástrofe’ (Knowledge Management Meta-Network in Catastrophe Spaces), Gerencia 2000, 11. 2. Villarroel, Y., Popper, R. and Lozano, A. (2010), ‘Prospectiva en America Latina: Una Visión Sistémica en Espacios de Catástrofe’ (Foresight in Latin America: A Systemic Vision using Catastrophe Spaces), Pensamiento Divergente (Divergent Thinking), 1(1), pp. 59-91. Butter, M., Brandes, F., Keenan, M. and Popper, R. (2008), Evaluating Foresight: an introduction to the European Foresight Monitoring Network, Foresight, 10(6), pp. 3–15. Popper, R. Metodología de la Prospectiva (2011), in Georghiou, L., Cassingena H., J., Keenan, M., Miles, I., and Popper, R. (2011), Manual de Prospectiva Tecnológica. Conceptos y Práctica, Mexico: Facultad Latinoamericana de Ciencias Sociales, ISBN 978-607-7629-39-9. Popper, R. and Medina, J. 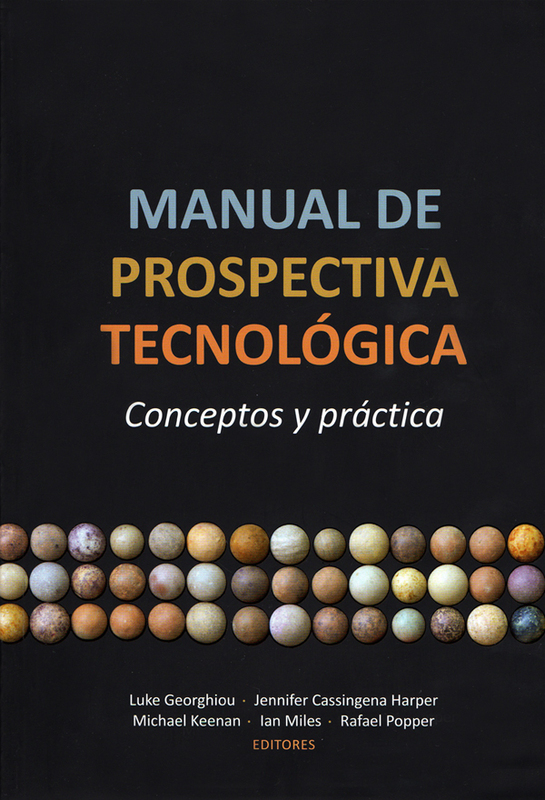 La Prospectiva en Latinoamérica (2011), in Georghiou, L., Cassingena H., J., Keenan, M., Miles, I., and Popper, R. (2011), Manual de Prospectiva Tecnológica. Conceptos y Práctica, Mexico: Facultad Latinoamericana de Ciencias Sociales, ISBN 978-607-7629-39-9. Miles, I., Cassingena Harper, J., Georghiou, L., Keenan, M., and Popper, R. Los Múltiples Rostros de la Prospectiva (2011), in Georghiou, L., Cassingena H., J., Keenan, M., Miles, I., and Popper, R. (2011), Manual de Prospectiva Tecnológica. Conceptos y Práctica, Mexico: Facultad Latinoamericana de Ciencias Sociales, ISBN 978-607-7629-39-9. Miles, I., Cassingena Harper, J., Georghiou, L., Keenan, M., and Popper, R. Nuevas Fronteras: Prospectiva Emergente (2011), in Georghiou, L., Cassingena H., J., Keenan, M., Miles, I., and Popper, R. (2011), Manual de Prospectiva Tecnológica. Conceptos y Práctica, Mexico: Facultad Latinoamericana de Ciencias Sociales, ISBN 978-607-7629-39-9. Popper, R. (2008) Foresight Methodology, in Georghiou, L., Cassingena H., J., Keenan, M., Miles, I., and Popper, R., The Handbook of Technology Foresight: Concepts and Practice, Edward Elgar, Cheltenham. Popper, R. and Medina, J. (2008), Foresight in Latin America, in Georghiou, L., Cassingena H., J., Keenan, M., Miles, I., and Popper, R., The Handbook of Technology Foresight: Concepts and Practice, Edward Elgar, Cheltenham. Miles, I., Cassingena Harper, J., Georghiou, L., Keenan, M., and Popper, R. (2008), The Many Faces of Foresight, in Georghiou, L., Cassingena H., J., Keenan, M., Miles, I., and Popper, R., The Handbook of Technology Foresight: Concepts and Practice, Edward Elgar, Cheltenham. Miles, I., Cassingena Harper, J., Georghiou, L., Keenan, M., and Popper, R. (2008), New Frontiers: Emerging Foresight, in Georghiou, L., Cassingena H., J., Keenan, M., Miles, I., and Popper, R., The Handbook of Technology Foresight: Concepts and Practice, Edward Elgar, Cheltenham. Keenan, M. and Popper, R. (2007), Research Infrastructures Foresight. A practical guide for policy makers and managers of existing (and future) research infrastructures (RIs), European Commission, Brussels. Popper, R., Georghiou, L, Miles, I. and Keenan, M. (2008), Evaluating the Colombian Foresight Programme, PREST final report to Colciencias and SENA, UK: The University of Manchester. Popper, R., Georghiou, L, Miles, I., Cassingena Harper, J., Havas, A., Morato, A., and Sokolov, A. (2008), How can national foresight programmes be better tuned in to the dynamics of STI systems? The Colombian Case, Colciencias and SENA, UK: University of Manchester. Popper, R., Keenan, M. and Medina, J. (2007), Evaluating Foresight – The Colombian Case, European Foresight Monitoring Network Brief, 119, available at: http://www.efmn.eu. Compañó, R., Pascu, C., Burgelman, J-C., Rader, M., Saracco, R., Spinelli, G., Dachs, B., Weber, M., Mahroum, S., Popper, R., Green, L., and Miles, I. (2006), Foresight on Information Society Technologies for the European Research Area (FISTERA), European Commission Scientific and Technical Research series, Luxembourg: Office for Official Publications of the European Communities, 22319 EN, ISBN 92-79-02753-0. Georghiou, L., Keenan, M., Popper, R., Clar, G., Cassingena Harper, J., and Crehan, P. (2006) Scenarios for future scientific and technological developments in developing countries 2005-2015, European Commission. Compañó, R., Pascu, C., Burgelman, J-C., Rader, M., Boehle, K., Saracco, R., Spinelli,G., Dachs, B., Weber, M., Mahroum, S., Miles, I., Popper, R., and Green, L. (2004) Key Factors Driving the Future Information Society in the European Research Area, synthesis report on the FISTERA Thematic Network study, Published by the European Commission Directorate General JRC. Loveridge, D., Miles, I., Keenan, M., Popper, R., and Thomas, D. (2004) European Knowledge Society Foresight, EUFORIA Project Synthesis Report, Published by European Foundation for the Improvement of Living and Working Conditions (EFL), Dublin, Ireland. iKNOW Project Web 2.0 conceptual design and functionality architecture – This is an innovative web 2.0 environment which is currently under construction. It aims to support researchers and policymakers in Europe by interconnecting knowledge about wild cards and weak signals in a wide range of areas, including: health, transport, etc. SELF-RULE Network Website design – EU ALFA-funded programme for co-operation between higher education institutions of the European Union and Latin America. SELF-RULE Peru Biotech Futures Pilot Website design – Demonstrative exercise on Biotechnology.